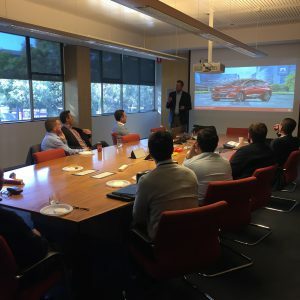 On August 1, 2017 QAD Australia held a customer site event at QAD’s customer Nanosonics. It was a great chance to fill Sydney customers in on the latest QAD strategies and the QAD product suite. Attendees had a unique chance to tour the facility and understand how the Nanosonics product is made. Special thanks to Doug Novak, CEO of Strategic Information Group in the US, who presented industry trends and delivered some very powerful presentations to several Life Sciences prospects. There was a lot of excitement about where QAD is heading and looking forward to this eventuating in new projects! To read more about how Strategic Information Group helps Life Science customers, click here.